You are here: Home / Featured / I Want Shoplifters To Steal From My Store! Really?? Is that what you are thinking? 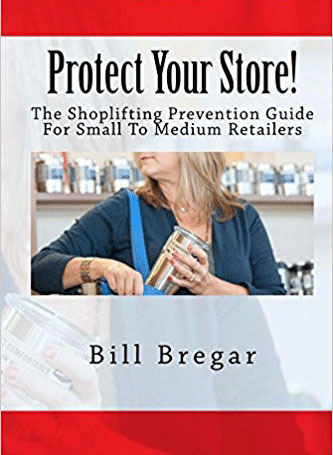 Because if you do not have an active shoplifting prevention plan that you work, then you might as well put up a sign that says “Shoplift Here Because We Do Not Care!” That is what the shoplifters hear and see. Poor customer service. Shoplifters love it when they come into your store and the customer service is lax, mediocre or simply non-existent. They do not need your help to steal, just privacy. Make sure you do not train your employees to spot and/or deter shoplifters. Lazy, untrained store staff are the shoplifter’s best friend. You really cannot say “steal my stuff” better than that. 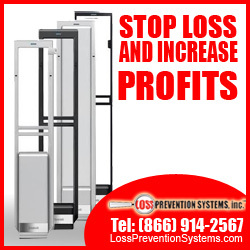 DO NOT BUY a Sensormatic anti-shoplifting system from Loss Prevention Systems! We are in the business of shutting down shoplifters. Make sure that you keep the lighting dim. Do not replace lights when they go out especially in dark, hidden areas of your store. It makes the shoplifter’s job easier. Do not put those pesky little Sensormatic hard tags and labels on your merchandise. It hurts the shoplifter’s ability to resell your stuff. Make sure that your staff never greets anyone when they come in. If you are not going to supply good customer service anyway do not bother to look up from your smart phone. You certainly do not want to have a low score in that on-line game you are playing. Besides, greeting shoplifters makes them feel uncomfortable because they have been noticed. Make sure shoplifters have a clear unobstructed path out of your doors. That way the arm load of merchandise they have in hidden or in plain sight does not get in their way. Actually it will make it more convenient for them to load up even more. If you want to at least feel a little better about all this put up signs that say “No Shoplifting” or “Shoplifters Will Be Prosecuted”. This sends a clear signal to the shoplifters that you have no clue about what it takes to stop them. It is kind of like that old joke; putting up shoplifting signs is like wetting your pants in a dark suit. You feel warm but no one notices. If you do spot a shoplifter, do not stop them. This is the best way to spread the word in the shoplifting world. They will flock to you like flies to….. They will clean you out just in time to move in next season’s merchandise. Hey, this also saves you time and payroll dollars in the inventory process since there is less to count. Make sure you have a CCTV system since shoplifters do not care about cameras. They know you do not have the payroll dollars to watch them full time and they know that they will be long gone before you would have any opportunity to review the recording. On the other hand shoplifting prevention is not all that difficult. Just do the opposite of the items listed above. We can help you with all of it from procedures, training and the installation of a brand new Sensormatic system.